More than 1 in every 3 people worldwide is influenced by malaria, a parasitic disease that results in the destruction of red blood cells. Malaria is spread by contaminated mosquitoes, which pass the parasite on through their stings. In tropical countries, about 10 million new cases of malaria and 2 million deaths occur annually. Most of those who die from malaria are kids. The symptoms of malaria typically start between 10 days and 6 weeks after being bitten by an infected mosquito. Nevertheless, in some cases, symptoms may not develop for months or years, particularly when prophylactic drugs were being taken at the time of illness. Between each attack, extreme tiredness as a result of anaemia may be the only symptom. Falciparum malaria (caused by Plasmodium falciparum) causes a constant temperature which could be mistaken for flu. It’s more serious than the other kinds, and attacks may lead to loss of consciousness, cerebral malaria and kidney failure and may be lethal within two days of symptoms appearing if left untreated. Keep your body well covered. Sleep under a mosquito net that’s impregnated with insect repellent. Use insect repellent on clothing and exposed skin. These measures against mosquito bites are particularly significant between twilight and dawn, when mosquitoes bite. Your physician may suspect malaria if you’ve got an unexplained temperature within a year of a trip to an area where the disease occurs. Identification is supported by identifying the malarial parasite in a blood smear under a microscope. You might be treated in hospital with oral or intravenous antimalarial drugs. Treatment may also call for a blood transfusion to replace ruined red blood cells or kidney dialysis if kidney function is impaired. Other kinds of malaria are generally treated on an outpatient basis with oral antimalarial drugs. If treated early, the prognosis is generally great, and most folks make a complete recovery. 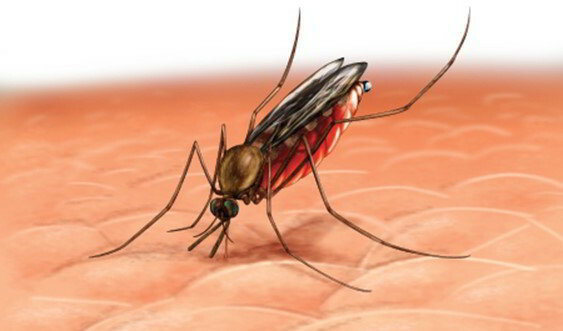 Malaria due to P. vivax and P. cvale may recur after treatment.